Hyundai officially launched the Creta EX variant in India and discontinued the earlier E+ variant. The EX variant is positioned just above the base E variant and it comes loaded with more features. The Creta will be available in seven variants – E, EX, S, SX, SX Dual Tone, SX (O) and SX (O) Executive. The EX variant comes with both petrol (1.6) and diesel (1.4) options. The petrol variant comes with features like fog lamps with LED DRLs, rear armrest with integrated cup holder, adjustable headrests for the rear seats and a reverse parking camera. All these features will be available on the diesel model along with a 5-inch touch screen infotainment system, multi-function steering wheel, sunglass holder, front USB charging socket and two-tweeters. Along with this, the company has discontinued the automatic option on the S diesel variant and now it will be available only on the top-spec model as it is more popular among customers because of the added bells and whistles. The Creta comes with features like a sunroof, climate control, rear AC vents, bigger touch screen and more. All variants of Creta comes with safety features like dual airbags, ABS with EBD, front seat belt with pre-tensioners, impact sensing auto door lock, speed sensing auto door lock, lane changing indicator and immobilizer. The top-spec variants get 6 airbags along with ESC, VSC, HAC, ISOFIX, rear defogger and more. 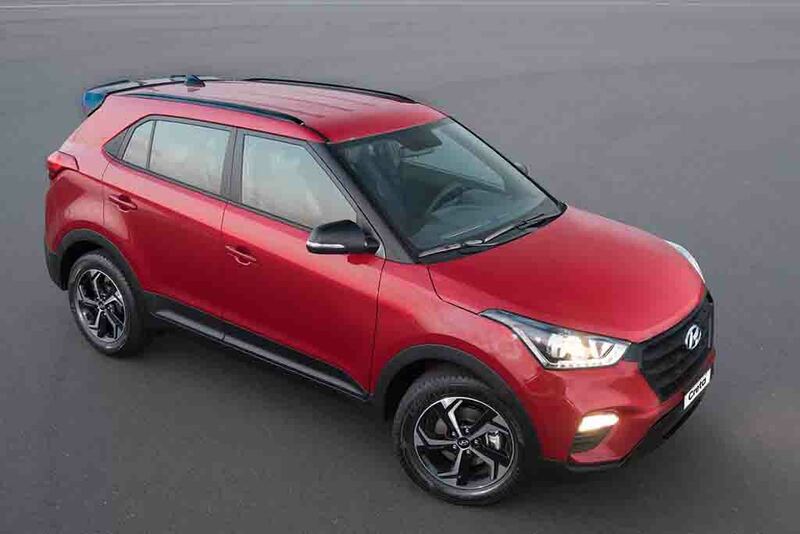 The Creta continues to be powered by 1.4 L diesel engine with 1.6 L diesel and petrol engines. The 1.4 L diesel engine puts out 90 PS of power at 4,000 rpm and 224 Nm between 1,400 rpm – 2,750 rpm. The 1.6 L diesel engine produces 128 PS at 4,000 rpm and 265 Nm between 1,500 – 3,000 rpm. Both these engines are mated to 6-speed manual gearbox. The 1.6 L petrol engine comes with 123 PS at 6,400 rpm and 154 Nm at 4,850 rpm. This engine is also mated to 6-speed manual gearbox. Both 1.6 L diesel and petrol engines also come with the option of 6-speed automatic gearbox. Hyundai Creta EX petrol is priced at Rs. 10.84 lakh and diesel at Rs. 10.99 lakh (both ex-showroom, Mumbai).